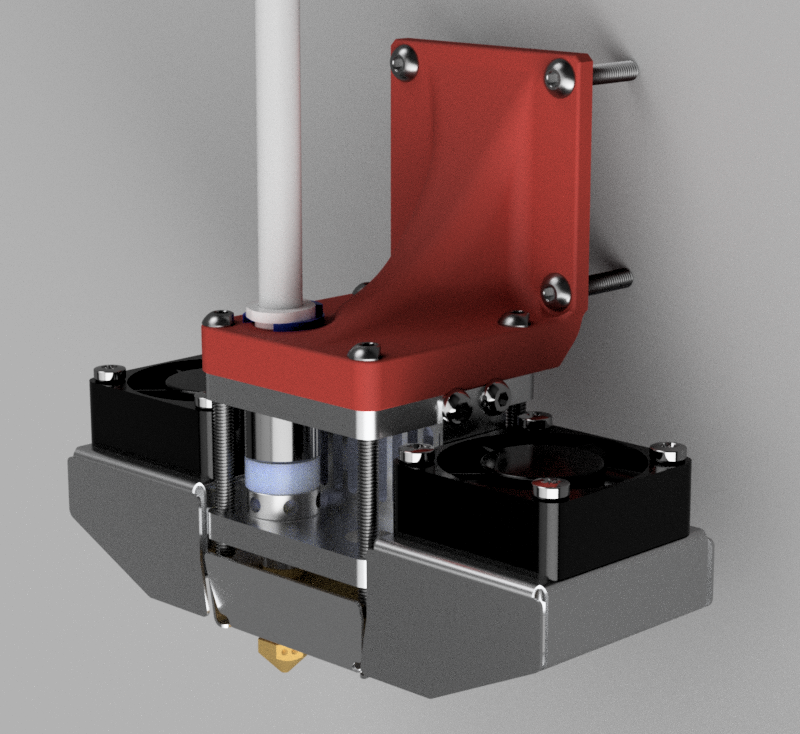 I know for the print head to mount flush with another mount, it should either have a spacer or the replacement piece extrude a small distance outward. I was thinking two horizontal, 5 mm holes would be enough to secure it? Just thinking out loud I know some of you have made some frankenstein ultimakers! Ah. Sorry nxe this was inside ultimaker I didn't understood why you wanted to do it. It should be easy indeed. Go go design it. To want is to do! Two years ago I never ever did any 3D but because I wanted a magnetic head changer I made my own version. Just get ready to tost a few kilos of material on test and enjoy the experience. Hey I like beer but you don't see me brewing my own! Beer is too inexpensive to brew! Now a good Wine is worth brewing yourself. Take a Dive into the world of 3D Modeling. Thinkercad is for you, it is free it is online and it is so simple to use. Thou I recommend a free Professional modeling software. Autodesk Fusion 360 is free for Enthusiast / Hobbyist. The free Start-Up/ Enthusiast licenses allow you to access Fusion 360 Ultimate with a yearly Free subscription. You can use this license if you are a small business making less than $100,000 per year (or equivalent), or if you're a hobbyist using Fusion 360 for non-commercial purposes. There a many tutorials on You tube to assist you in making your first Model. This is my first model after watching the tutorials. A Snap together case for My Hictop Controller board. Spent about half an hour, fist time i touched CAD in over 3 weeks, just arrived home from a vacation. You will need to replace the long thumb screws with four M3x35mm screws. 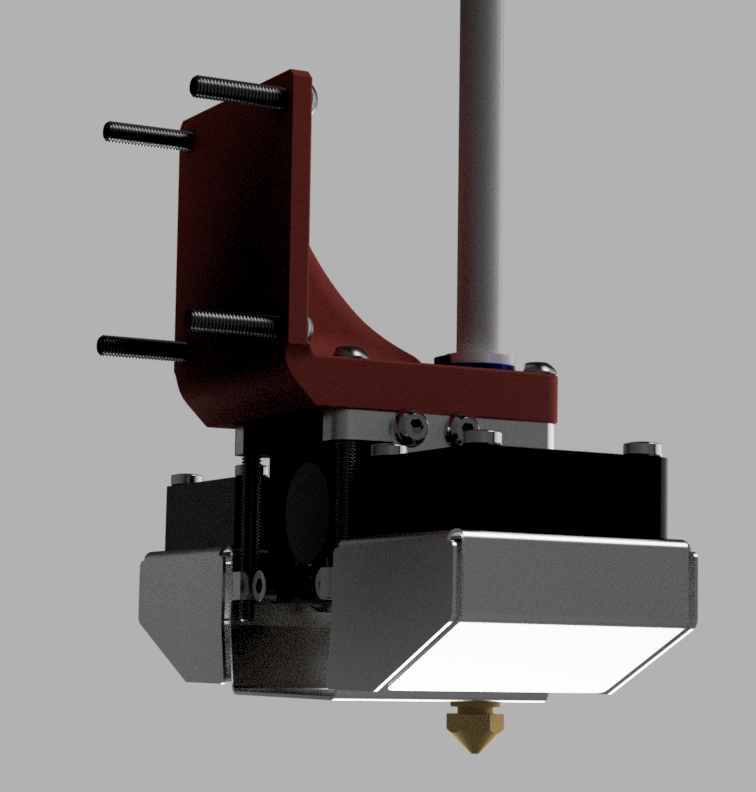 That could latch directly into existing aluminum extruder mounts out there! Looks like a print worthy of PLA...or maybe something pretty, like that big spool of CF I have sitting around! 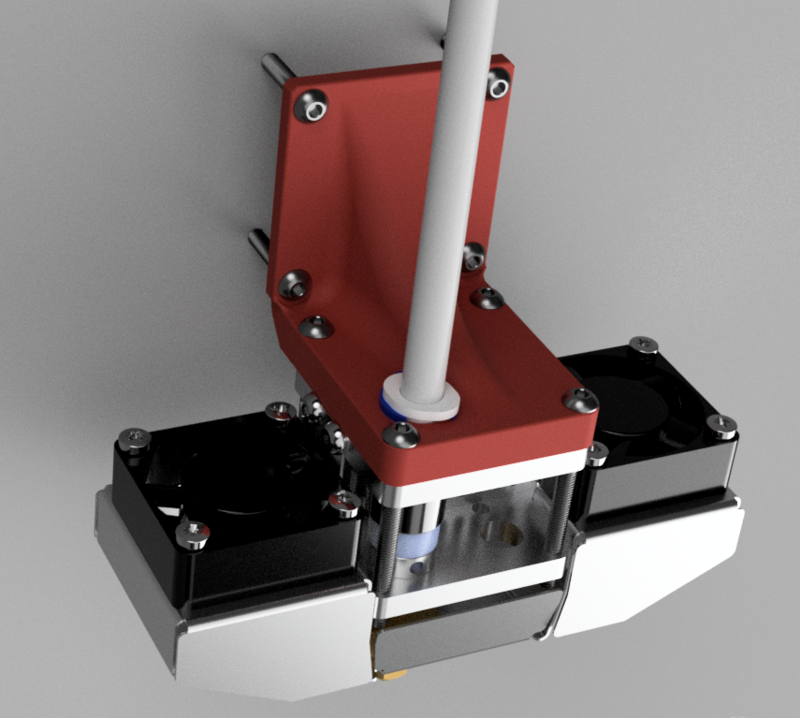 I'm using the Ultralight Weight Extruder 713Maker offers (http://713maker.com/ft5.html) Scroll way down. That's worked really well with my Titan Aero/pancake setup. 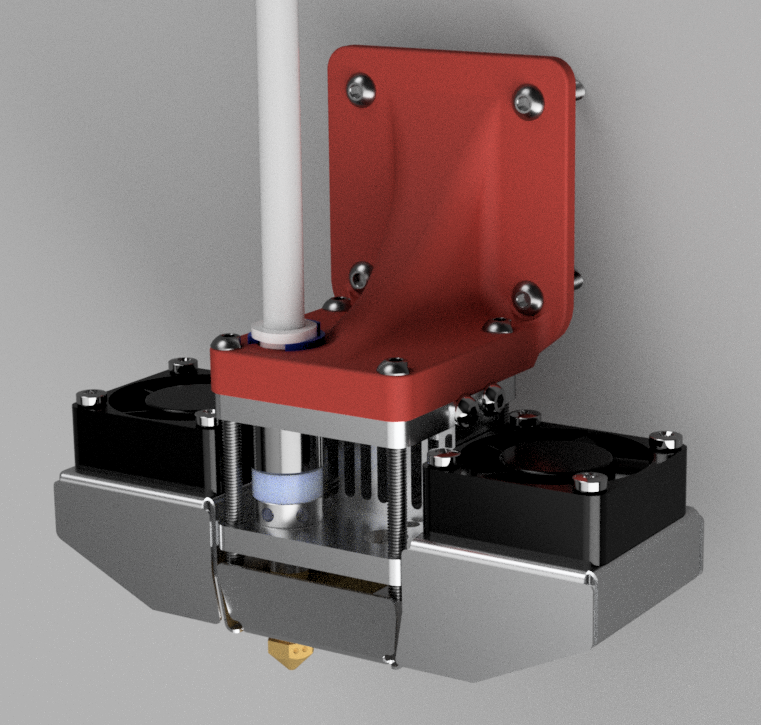 So, here is a version with a 45x45mm back plate instead of the minimal 38x38mm one.